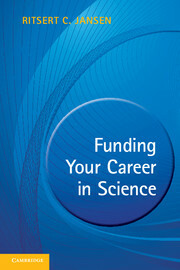 This website is complementary to two books: Developing a Talent for Science and Funding Your Career in Science. These books are a co-production between University of Groningen and Cambridge University Press. On this website you will find additional content: self-assessment tools, planning forms, links to relevant websites and literature, best practices, and more. Social media, particularly blog and forum, allow you to contribute: share your own best practices, initiate threads, or post your own stories. 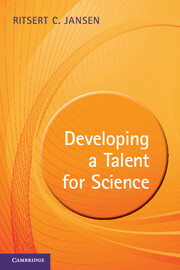 The books and this website may fuel your passion for science and improve your performance!